Captain Scott worked on the design for years before presenting the builder (Svendsen Marine) with a 1 inch scale layout of the intended design. The end result? Svendsen executed the design to perfection! ​Why was Svendsen the custom built boat of choice? 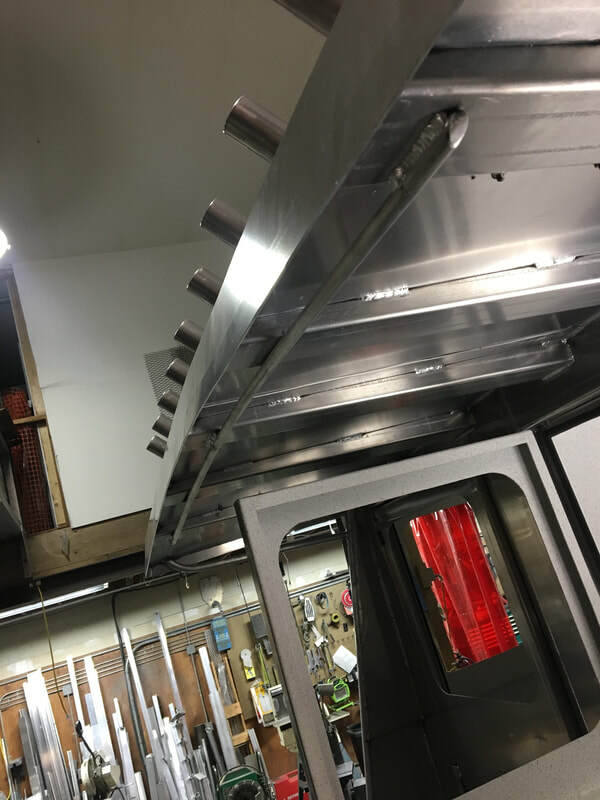 These boats are built with heavy marine grade aluminum plate to withstand the rigors of commercial use in the unforgiving waters of Alaska. 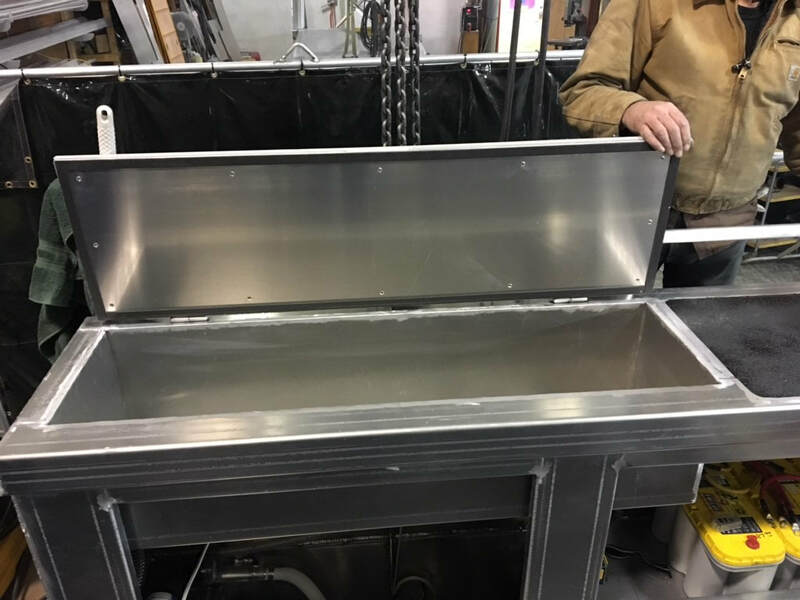 The self-bailing decks are comprised of multiple airtight welded compartments. 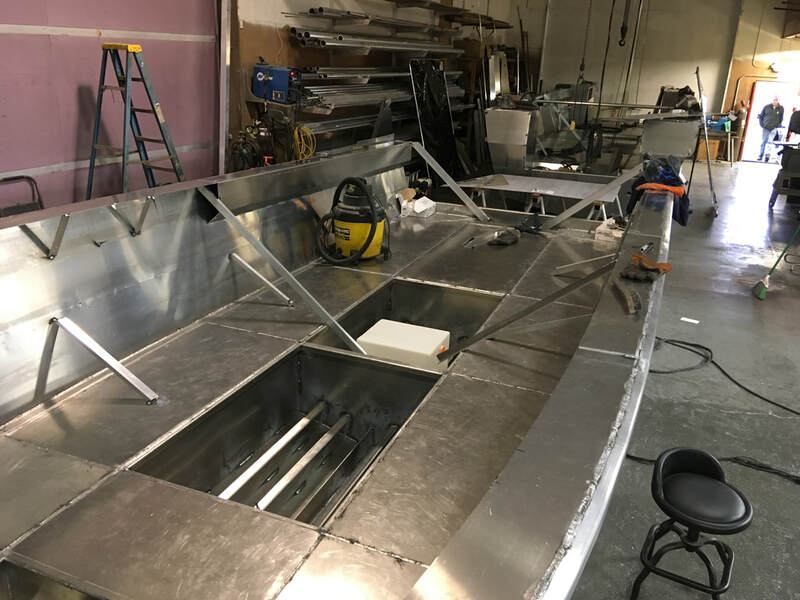 Is this an economical way to build a boat? Absolutely not! ​However, I wouldn't trust my life to bilge pumps and batteries and I wouldn't expect you to either! 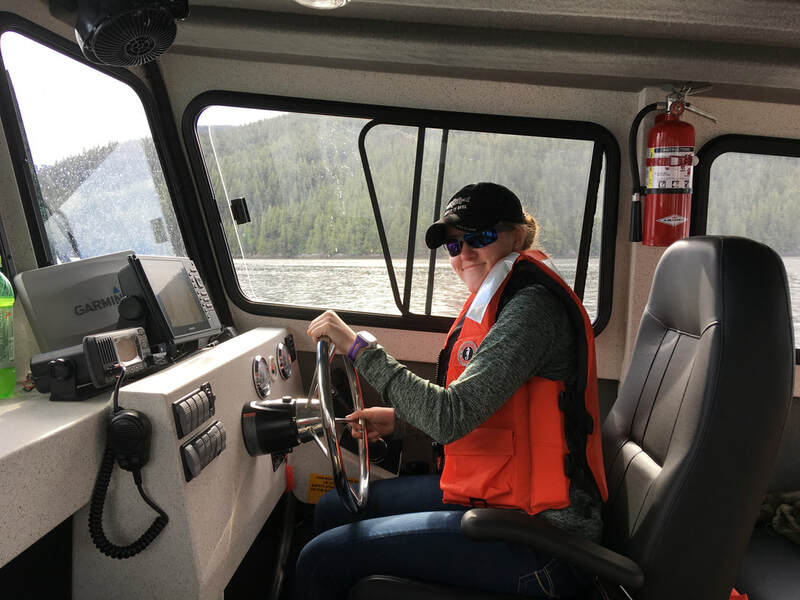 A large suspension seat makes every day seem like a smooth day on the water! 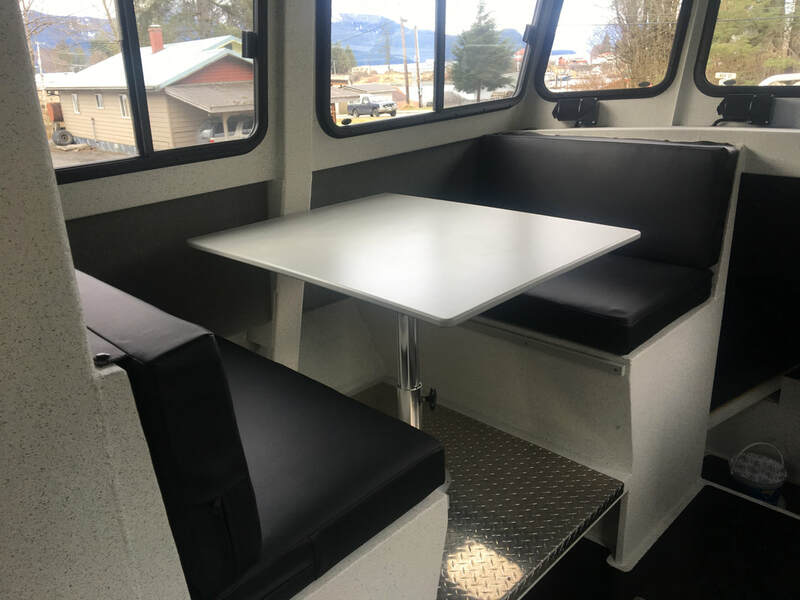 The dinette is easily converted to a full sized bed. 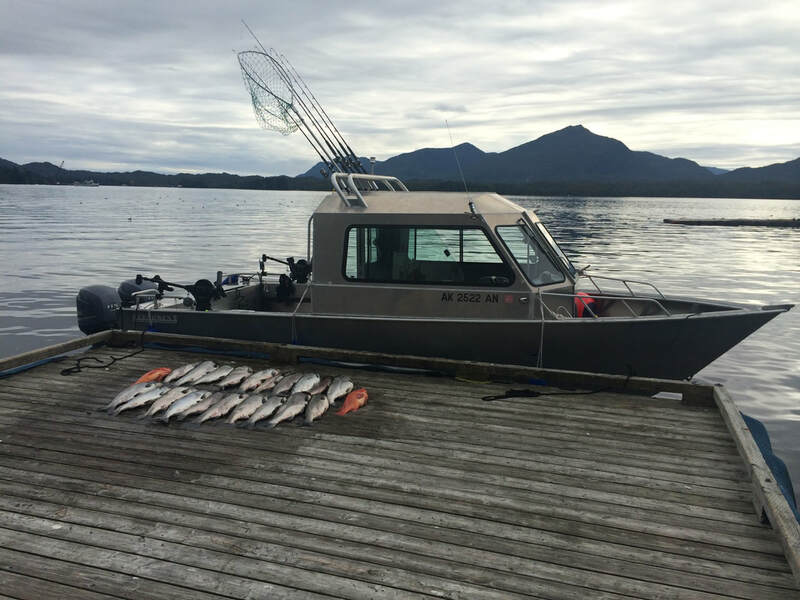 A large self draining fish box holds your limits of salmon and most of your halibut as well! 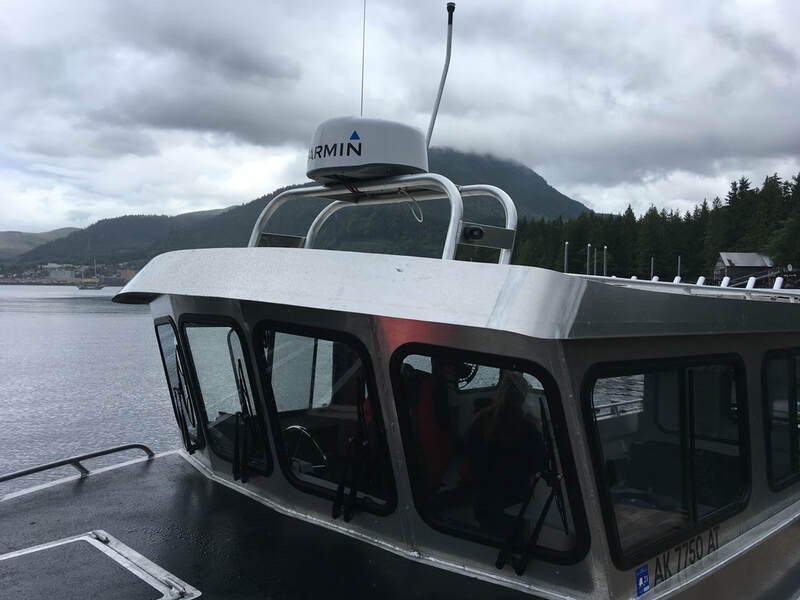 A Garmin radome improves navigational safety when visibility isn't ideal. It also detects breaching whales! A large gullwing door allows for easy transition from the cuddy to the bow. The rocket launchers keep your rods out of the way. The grab rail under the roof is perfect for hanging your catch for photos! Sea Horse is powered by twin 250hp Honda 4 strokes. A high thrust kicker is controlled by the rear helm for economical all day trolling. An electric macerating toilet adds luxury on those long trips from civilization! 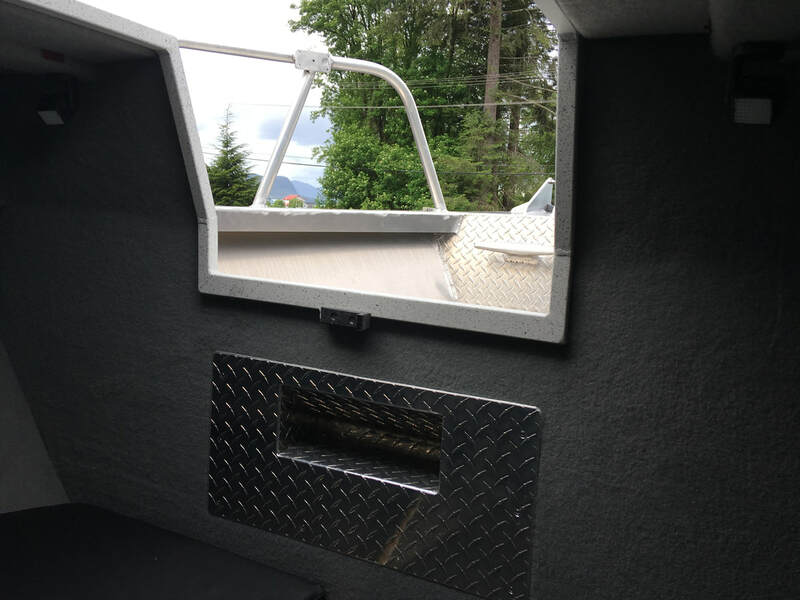 A Wallace glass top diesel stove and blower lid keeps the cabin warm and dry on those chilly early morning charters. The sink provides 20 gallons of fresh water. Looking for a slightly smaller Rental Boat? Captain Scott can make arrangements for you to rent Seaker. A custom built twin engine Svendsen.